Veal, red radish, Girolles and Sariette butter. "Freshness is the best adjective for this vintage which is very balanced. The attack in the mouth is synonymous of firmness and power. It has a great ageing capacity." "This vintage is a nice surprise: a beautiful rich colour, a fine nose full of freshness and a delicious soft palate, lifted by great complexity." Stand the bottle upright 48 hours before serving to avoid any deposit. "This vintage hasn’t heard a lot of hoopla, but I find it very attractive. It has intense red fruit and a silky structure. It would benefit from a few more years but is already enjoyable." "Thoroughly primal, with a torrent of raspberry and boysenberry fruit rushing forth. Only shows hints of its full range, with licorice, incense, graphite and mocha flavors fluttering in the background. Has an iron-clad structure, with a long finish that shows great cut and grip. 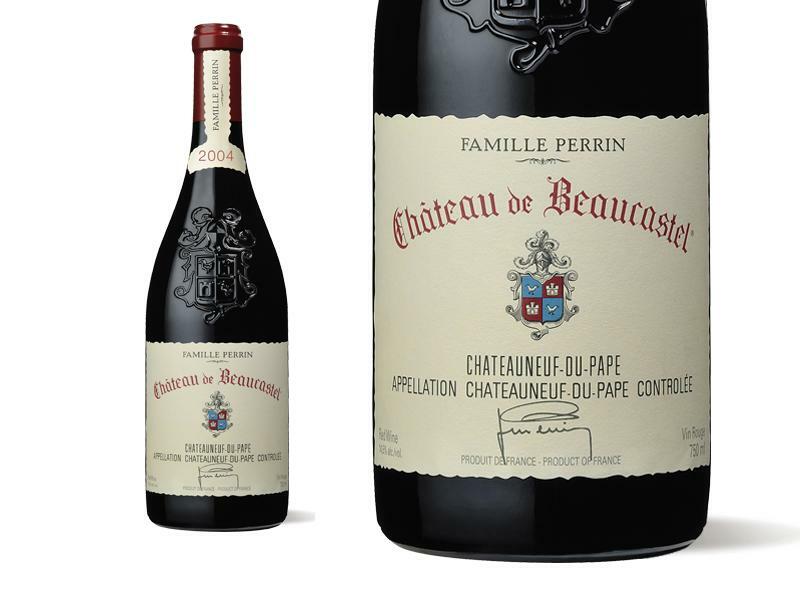 Best from 2009 through 2025"
"One of the great successes of the vintage and certainly better than their 2003 is Beaucastel’s 2004 Chateauneuf du Pape. Deep ruby/purple in color with loads of licorice, smoked game, black cherry and blackberry fruit, along with incense and truffle, the wine has fabulous richness, high tannin, medium to full body, and beautiful length, richness, and purity. This is a beauty and one of the vintage’s finest wines. Give it 4-6 years of bottle age and drink it over the next 25+ years. It has the potential to be one of the longest-lived Chateauneuf du Papes of the vintage." "Very deep crimson and fantastic depth of flavour. Still a baby with very fine tannins and a lovely seam of refreshing acidity. Super-fine tannins but no shortage of very complex ripe fruit. Positively scuttles across the palate – so secretive is it at the moment, but the sample I tasted seemed bracingly clean and brisk yet with great depth. No suggestion of Beaucastel’s trademark animal flavours at this stage. Good stuff!"